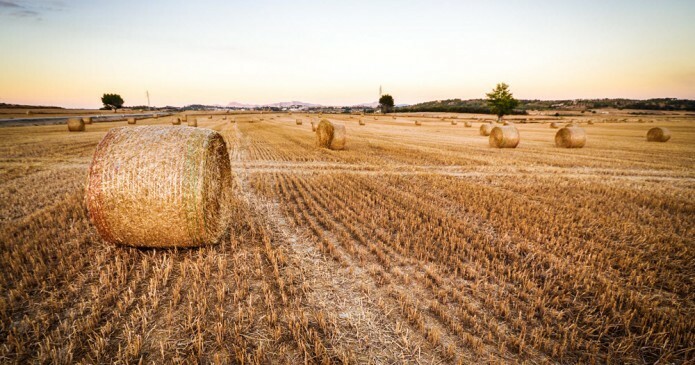 There are currently 1.7 billion active Facebook users, so trying to find customers who might like your business is as frustrating as looking for a needle in a field of haystacks. Lucky for you, Facebook People Search is like having a super-powered metal detector that can search each haystack in milliseconds. First of all, Facebook People Search contains a wealth of information on what people like, their hobbies, food they eat, pets they love, brands they associate with, images they share, competitors they follow and endless demographic information. Secondly, all these details can be used to generate better content, create better connections with prospects, craft better ads, and sales pitches. Facebook Search puts all this data at your fingertips. However, you need to string together the right query parameters to extract detailed information on prospects. Facebook People Search is a useful tool to find targeted prospects and boost revenue. However, you have to learn how to extract the data first. Because Facebook People Search responds to both keyword searches (similar to Google) and natural language queries, it makes searching through Facebook something like a game of Mad Libs. Think of natural language queries as phrasing questions the same way you would ask a human. Natural language search is search carried out in everyday language, phrasing questions as you would ask them if you were talking to someone. These queries can be typed into a search engine, spoken aloud with voice search, or posed as a question to a digital assistant like Siri or Cortana. – Search Engine Watch. When you understand how queries can be structured, it’s easier to determine what type of question will yield your desired result. What Facebook users think about your competitors’ products and services so you can get a clear picture of how to position your business. The overlapping interests of your target customer base so you can create more relevant content on your Facebook page. What Facebook Groups and Pages are most popular among a business’s target customer base, so you know which groups your prospects are hanging out in – ultimately you can join those groups. What hobbies and interests are shared with prospects so you can create deeper connections and conversations with them. Facebook People Search can handle a surprising number of parameters so you should take advantage of this to learn more about your target audience. In the example above, you can see I used two criteria to find the exact person – Facebook Page and City/State. Now that you have the basic structure down, you can start experimenting with different queries that return the results you are after. But, beware: While you can layer and string together a plethora of search queries, consequently you could be severely limiting the result. These conclusions are where the experimentation comes in. Whether you sell to consumers or businesses, you can pinpoint people on Facebook that are more likely to buy what you sell. Don’t think that Facebook is just for B2C sellers either. There are more people on Facebook than LinkedIn, and the level of data locked in Facebook People Search is much deeper than you will find through LinkedIn Search. You can find not only where they work but what they love which will help you find commonality with your prospects. Below are a few examples you might use to find and learn more about prospects. You can search for specific people, Facebook Pages, City, State, favorited pages and more. Imagine you sell recycling services to businesses – we’ll call it Greener Earth – and business is slow. By using a business-focused query, you might discover that a lot of “NewCo” employees (your target company) care about recycling and also like a local coffee shop. The search queries might look like this. Consequently, you may hold an informational meeting at the coffee shop or do a cross-promotion with the store owner. For instance, you could do a trade with the coffee shop owner and offer your services in exchange for a window sticker, flyers or a green recycling bin with your logo on it. In fact, queries like these, paint a three-dimensional picture of your ideal customer. While conducting market research for Greener Earth, you might just learn that many fans of your business also like the Facebook page for America Recycles Day. What a very promising promotional opportunity! Now that you found prospects, and know their interests, the next step is to find not only content they share to further enhance your customer profile but to improve your own content strategy. Moreover, the right post-focused query can help you unearth this treasure trove of information. First, you might start by studying your competitors and identify what kinds of posts get the biggest reaction from their customers. What are your competitors sharing? What are your prospects sharing? Through these queries, you might discover that people who like recycling responded well to a competitor’s post about recycling paper and responded poorly to a post about the cost of recycling. In fact, if you notice this behavior occurring enough times, you could focus your sales pitch on ways to reduce paper usage and educate prospects on the long-term cost savings. You’ve created a target list of prospects, started to write and share posts they love, but now you want to take your prospecting to the next level and contact them directly. 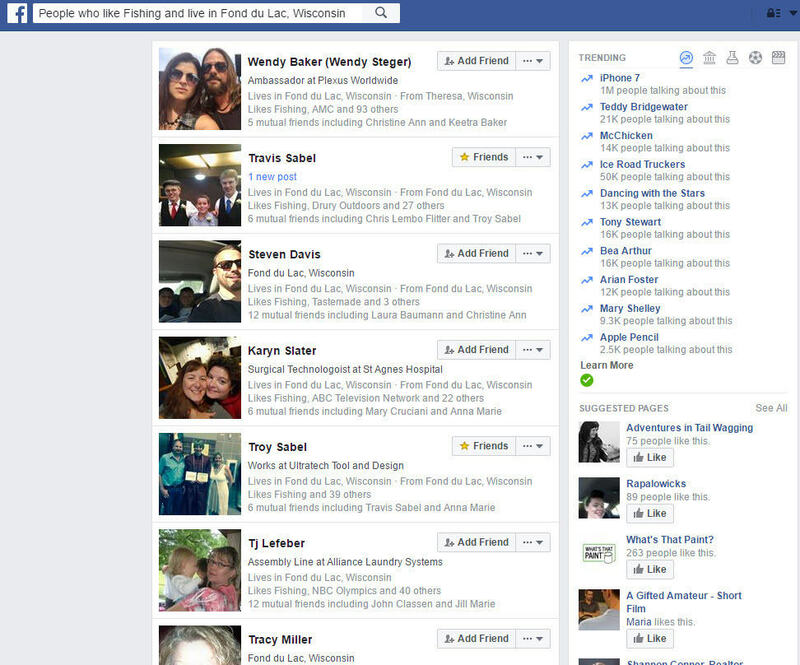 Using Facebook People Search, you can discover people who aren’t your friends and who like a particular Page you like. For example, find common hobbies and include a note that helps create an immediate connection. Or, network within Facebook Groups. Find friends who haven’t liked your Page and then invite them to check your Page out. In the past, if you wanted to find out more about your customer’s hobbies, interests, favorite TV shows, etc., you had to survey them. As a result, you wasted a ton of time and spent a lot of money. With Facebook search, you can now get a good snapshot – for free and in a few keystrokes – which only takes seconds. You can then create content or ads that resonate with your target audience. Use Facebook People Search to find cross-promotional opportunities, new markets to target or strengthen a loyalty program. This query shows what your customers do when they aren’t doing business with you. Maybe you need to appeal to the interest of specific genders within your Facebook fans for instance to create targeted content or ads. Are you on the radar of local landmarks or places near you that people visit often? Use this query to see if your business turns up in the results. If your business is not appearing in a local search, learn how to boost your search ranking in Facebook Search. 1 – Don’t ignore the videos and photos tabs. Ultimately the results can provide guidance in choosing images for your blog posts or ads. 2 – For a massive list of Facebook search queries, visit Wrightimc.com. 3 – Learn how to delete your Facebook Search history. 4 – View your past searches. There are “literally” hundreds of possible search combinations. This information can be used to learn about your fans, improve your Facebook ad targeting, and do market research. Have a few tips using Facebook People Search? We would love to hear from you.